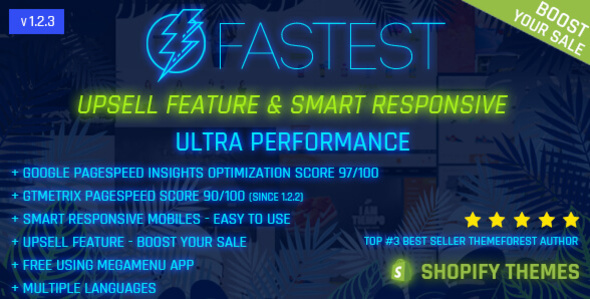 Fastest Shopify Smart responsive themesis designed with intelligence and good UX design for all mobile devices. Furthermore,Fastest Shopify Smart responsive themes provides you abilities to choose a fully responsive website or a mobile optimization theme for mobile devices.Fastest Responsive Web Design makes your web page look good on all devices (desktops, tablets, and phones).Fastest Responsive Web Design is about using CSS. - New feature : improve Lighthouse report ( First Contentful Paint time and First Meaningful Paint ). 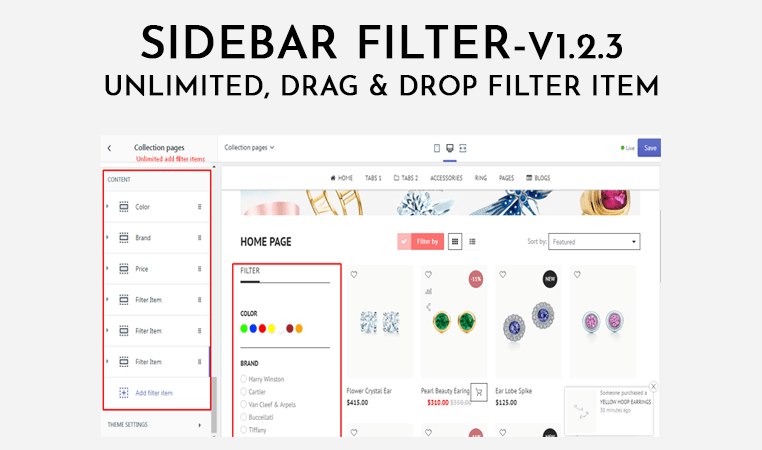 - New feature : unlimited and drag & drop filter items on collection page. - New feature : improve GTMetrix Pagespeed score : 90/100. - New feature : add slider tabs on mobile. - New feature : get back swipe, gallery effects for product images on product page. 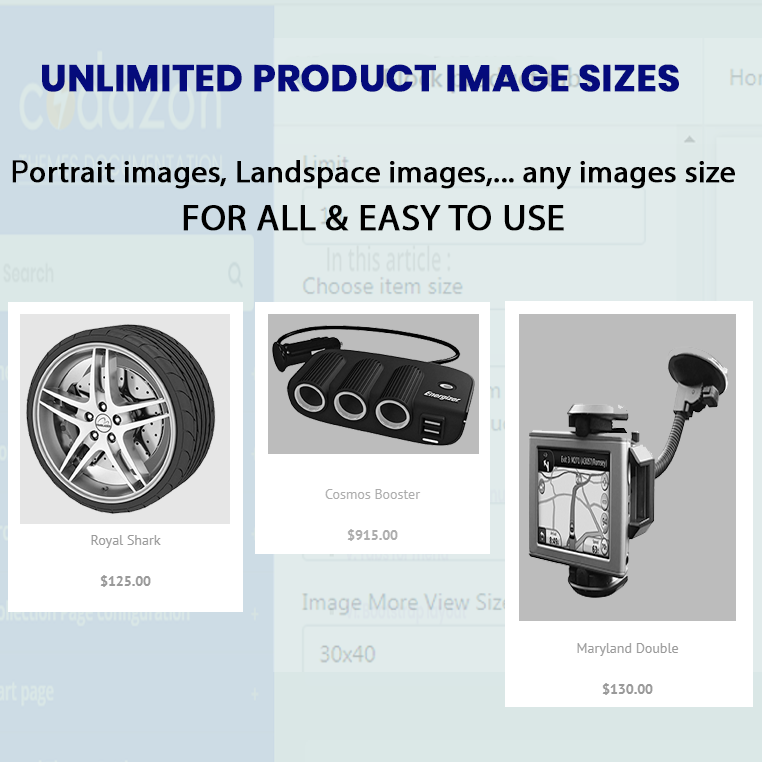 - New feature : grouped product images in product page and quick view popup. - New feature : sticky button cart on product page. - New feature : switch to corresponding variant after clicked product image on product page and quick view popup. - New feature : dynamic buttons - one click checkout on product page. - Improve lazy loading image. - Display shipping method list in shipping rates calculator. - Add a shipping rates calculator to cart page. 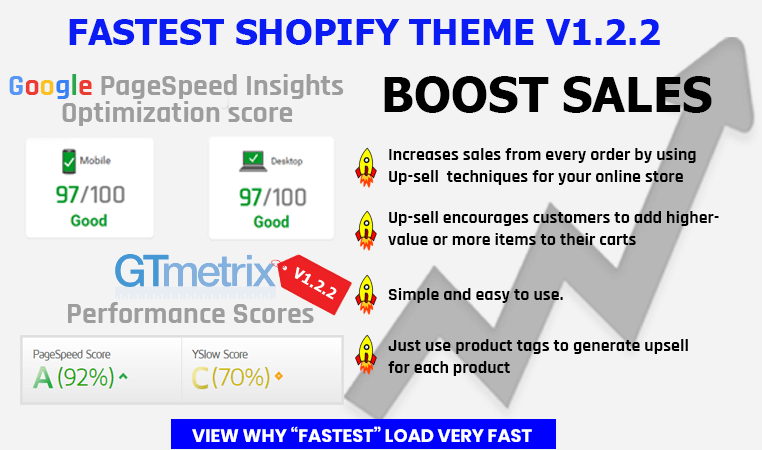 - New feature : Upsell - boost your sale. With old users, we don't recommend update for existed themes. 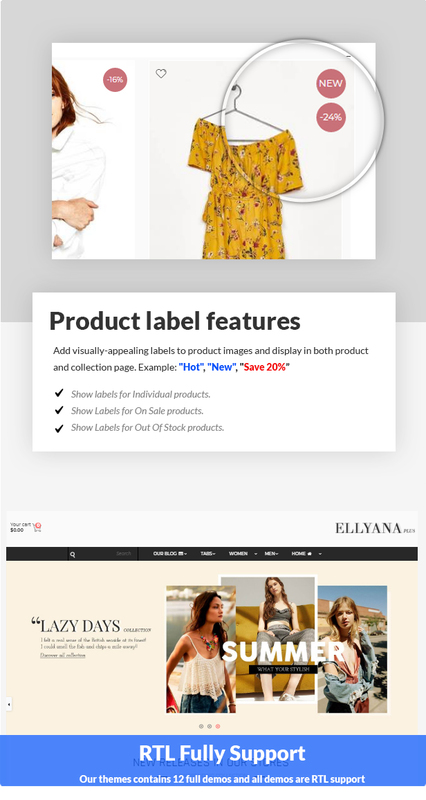 - fix label, remove featured collection, add custom html section, fix countdown. 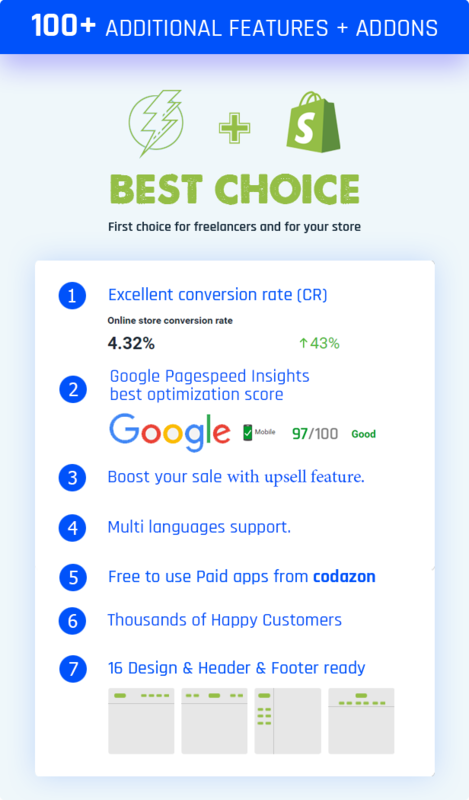 - Improve performance, user experience and pagespeed insight score. - Add background promotion configuration. 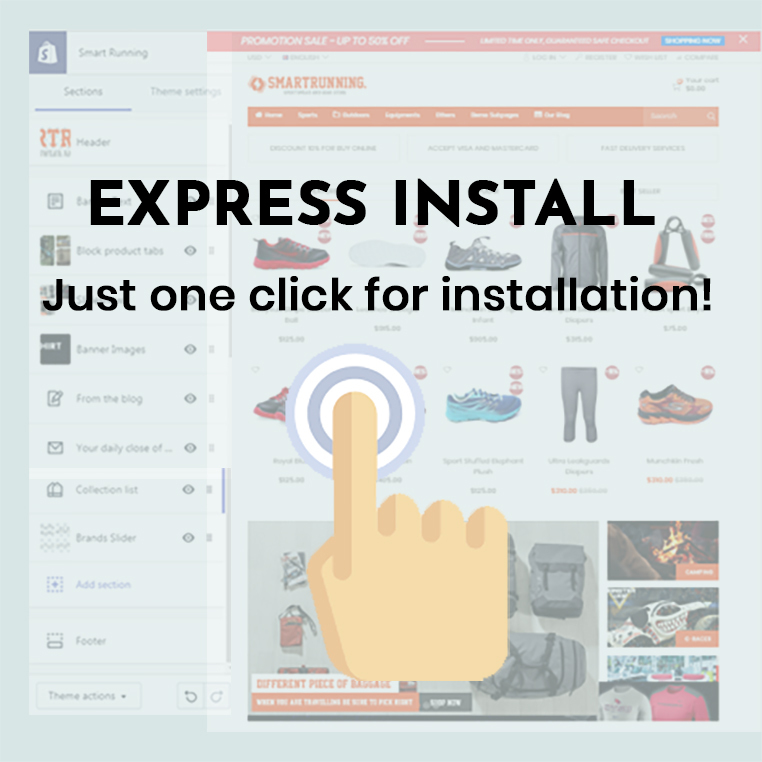 - New feature : add to cart with uploading file. - Fix display tab in product block when only have one tab. 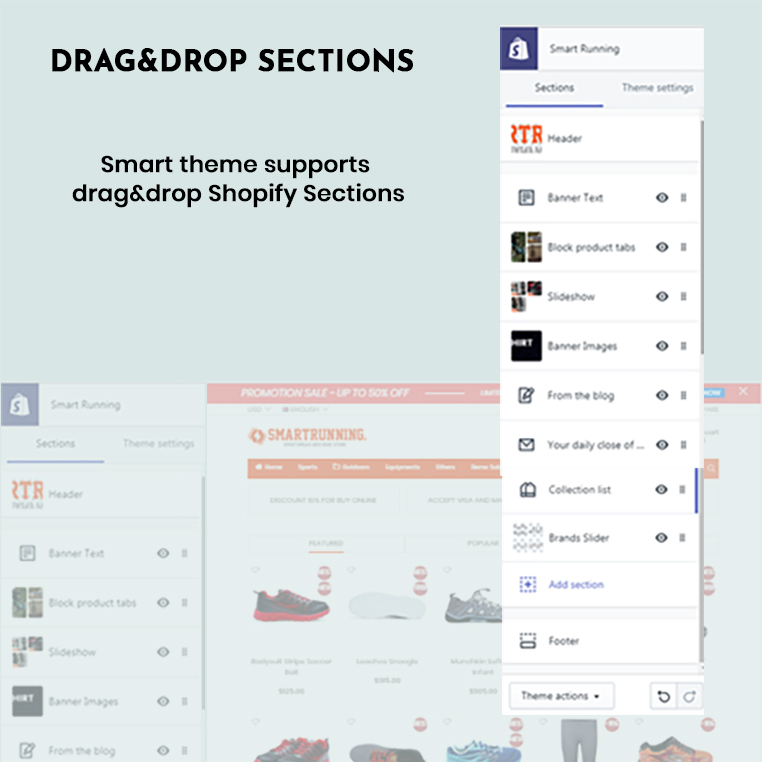 - Support navigation dropdown ( new feature in Shopify ). 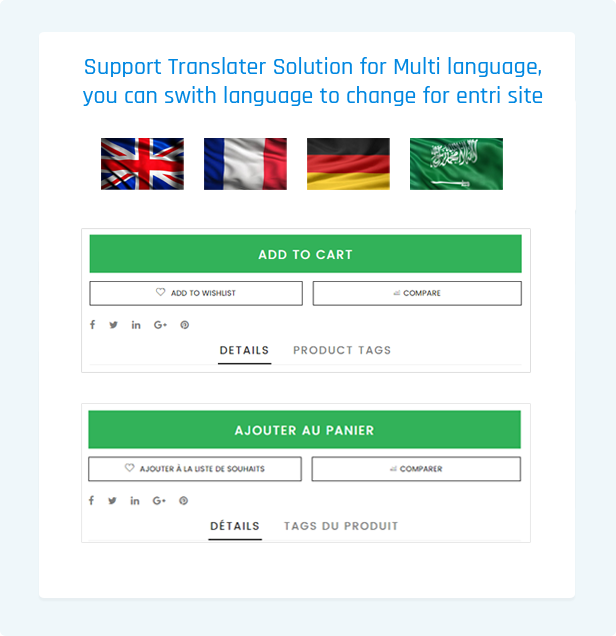 - Improve rendering megamenu and translatation data. - Fix conflict currency when install 3rd app. 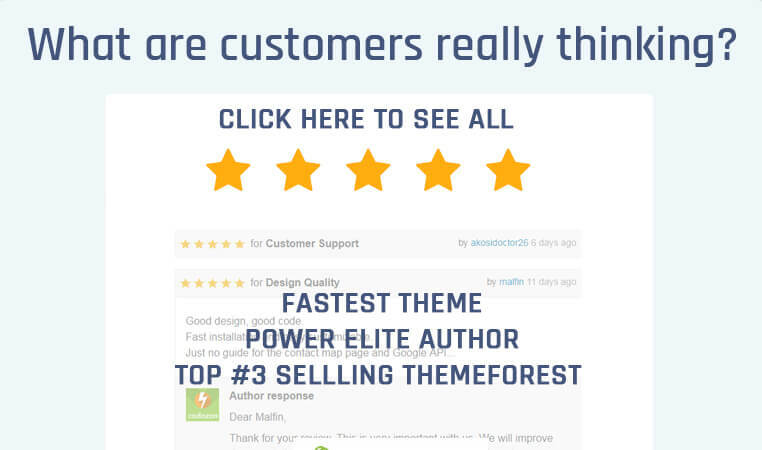 - Add turning on/off Shopify review app. - Fix display collection image. - Add configuration to show/hide filter after load collection page. - Fix display big logo in header. - Add color configuration in promotion banner. - Add new home package : Fastest Sportswears. - Add styles for password page. - New feature : turn on/off compare, wishlist features for all of site. - Update new home : accessories. - Fix generating url to load menu, locale data. - Add logo size configuration. - Add collection list section. - Add breadcrumb to static page. - Add secure payment icon to product page.